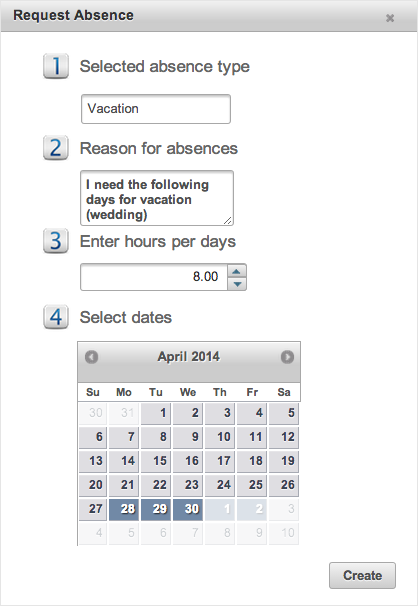 Tracking and managing employee time-off is one of those tedious HR tasks that should be simple, but seldom is! 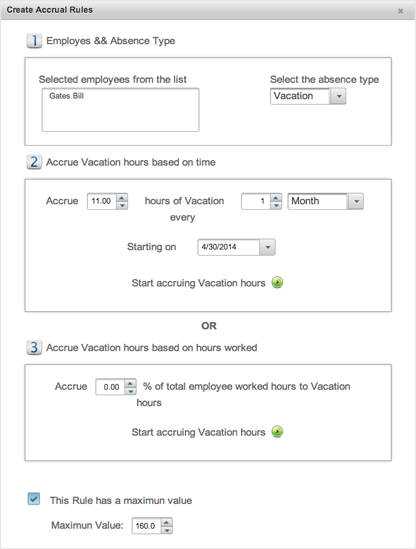 Imagine a system that automatically tracks available and used time-off, keeps tabs on everyone’s scheduled vacation time, records each employee’s requests for time-off and the manager’s response, and maintains actual time-off records forever. Welcome to EasyClocking cloud based time and attendance solution designed for today’s workforce. 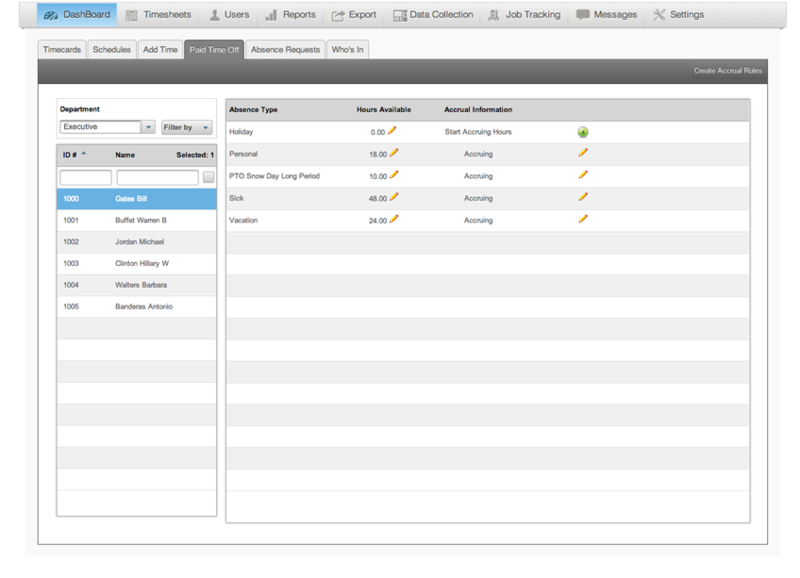 Its never been easier to setup time off types and accrual settings within the software with our interactive schedule assistant. This wizard style interface will lead you step by step to create the accrual rules and parameters in a prescribed order so you are never lost.